Miss Oregon Princess, Ella Osborne co-hosted The Portland Women’s Expo. Miss Oregon Princess, Ella Osborne co-hosted The Portland Women’s Expo.This expo was a one day event with over 400 exhibitors. She assisted in a live auction that raised money for The Portland Women’s Expo Foundation, which is dedicated to building stronger communities by providing women with the essential resources to face domestic abuse, substance abuse, and unemployment. Their goal is to build a facility that will strengthen communities by providing services that will connect women and families with livability resources and employment training programs. The day was a great success and she was proud to represent National American Miss! Author Matt LevertonPosted on April 16, 2015 March 30, 2016 Categories Community Service, oregon, pictures, Princesss, RoyaltyTags ella, expo, nam, namiss, oregon, osborne, pageant, pageants, portland, princess, queen, volunteers, women'sLeave a comment on Miss Oregon Princess, Ella Osborne co-hosted The Portland Women’s Expo. Sophia Takla Miss Oregon Jr.Pre-Teen was recently chosen as a Junior Blazer Dancer for the Portland Trail Blazer’s Professional Basketball team. After a grueling 7 hour tryout she was selected to fill one of only a few open spots! 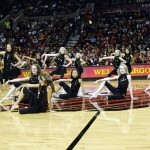 Many girls ages eight to eleven try out for the honor of being a team member and dancing at home games for the Blazers. Junior Blazer Dancers are always a crowd favorite. Sophia loves warm ups because when she’s warming up so are the Blazer players and their opponents, like the LA Lakers! After the games she loves to hear that she was featured on the HUGE Jumbo-Tron at the Rose Garden Arena! Sophia dances six days a week on top of a three hour JBD practice every Sunday evening! Sophia was part of an article featuring the Junior Blazer Dancers on OregonLive.com! 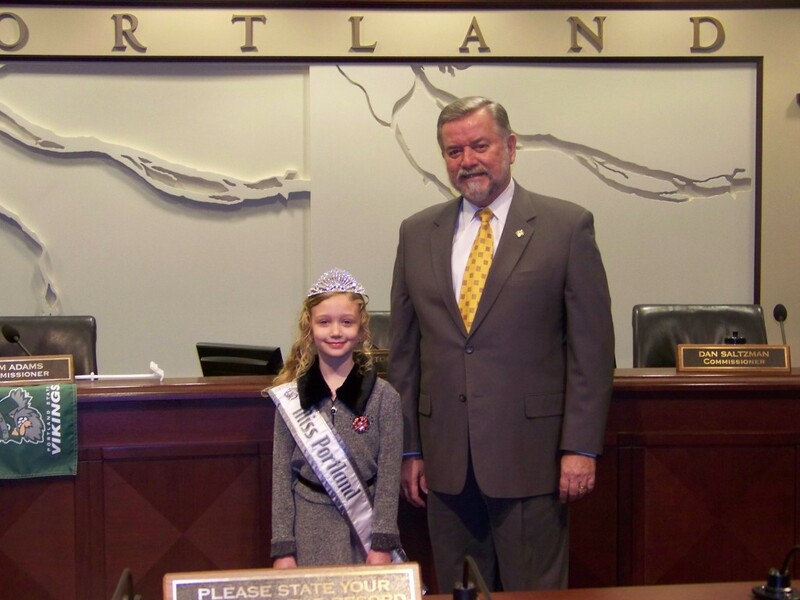 Recently Madeline Monlux, National American Miss Pageants Portland representative met with Mayor Tom Porter to speak about the importance of youth volunteering. Even at a young age Madeline is very passionate about volunteering and getting both kids and adults involved in their towns, cities, and communities.